Picture the scene, you have just finished a long but fruitful day of networking at a big conference and you are heading back to your accommodation to relax and unwind for the evening before starting all over again the next morning. Instead of arriving at a stuffy hotel room, you find yourself walking into your very own personal living space. That’s a living room, a kitchen with a dining area and your own bedroom (maybe even with an en suite if you so require). This is what Base Serviced Apartments offers to our business and corporate guests, the perfect home from home to make your trip an even bigger success. 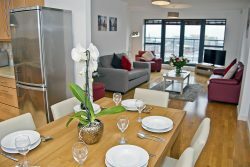 What’s more, our self-serviced apartments are all within central locations so you don’t have to go far when you’ve finished your day of deal making. 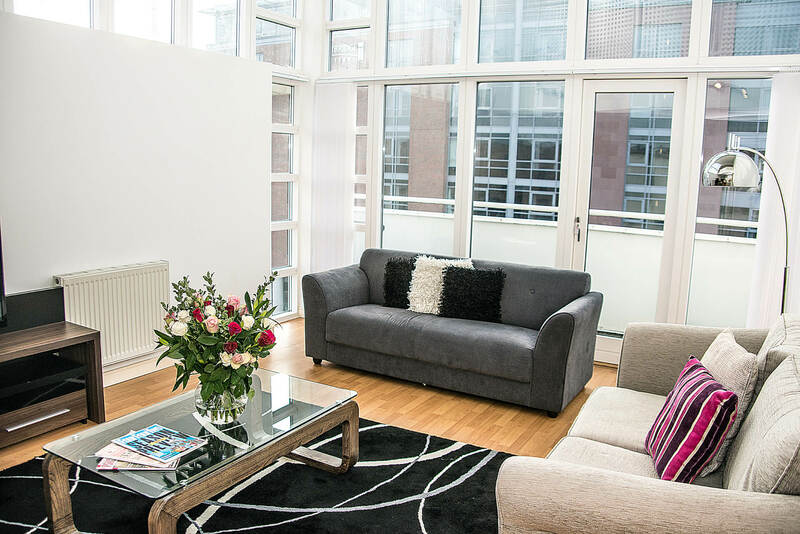 You get the best of both worlds with Base Serviced Apartments, not only do you have a personal apartment of your own whilst staying in the city but you have the rest of the city right at your doorstep. With your own living space, you have complete freedom to work from your apartment if needed, without having to feel compressed or closed in; it’s just like working from home. You don’t get that feeling from a stay at a hotel, but you do from a stay with Base Serviced Apartments. Or if you prefer something a little more luxurious, we can offer you one of penthouse suites if you require the home from home experience with a little more class. Just like our regular self-serviced apartments they come fully equipped with all the same facilities, but with added flair and finesse. But enough about the apartments, what we can give you is an excellent customer service. From the moment you first make your enquiry to the moment you leave us, our business guests embark on a journey with Base Serviced Apartments and our staff ensure that it is as smooth and stress-free as possible. We offer a hassle-free booking & payment process keeping you fully informed and prepped from the start ensuring no detail is left out so that you can come to us with complete knowledge and understanding. Should you need to claim your stay as a business expense, we will gladly provide you with a receipt upon request. We can also offer an express check in / check out service should you be arriving a little earlier or later than our usually times (3pm for check in and 11am check out, for your reference). This is done so that we can fully accommodate our business traveler’s special requirements. Best of all, we can authorise block booking options for business travellers allowing you first right of refusal to any of our city centre apartments. So if you are heading to Liverpool for the next big conference or perhaps you are traveling to Chester to attend that important business meeting with a client, choose Base Serviced Apartments for the perfect home from home experience; it will be like you never left! 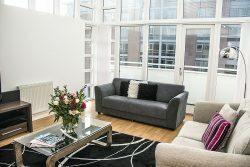 Base Serviced Apartments offer an unrivaled service for those looking to stay in a fabulously contemporary yet homely property, within spectacular city environments. Choose from our range of one, two and three bedroom properties within the heart of thriving Liverpool or historic Chester. All apartments are fully-furnished and fully-equipped providing you with your own environment to entertain guests or simply to switch off and unwind. We are the real alternative to hotel living. For business travellers heading to Liverpool, we recommend checking availability at the following locations: Duke Street, The Docks, Sir Thomas Street.